How about having a dinner on the cruise? The Chaophraya River is considered to be the origin of Thai Civilization and the cruise sail on the waters of this glorious river. The interiors and the exteriors of the cruise are beautifully designed keeping in mind the Thai culture and the preference of the visitors on board. You can see new aesthetic modern designs on the cruise. You can also have a dinner in the Hollywood style with a live band and of course. the international menu is absolutely a paradise. 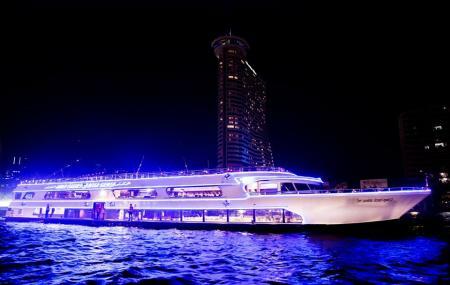 Get ready for a spectacular evening on board with a splendid dinner date. Hotels like Kokotel Bangkok Surawong, Icheck Inn Silom and Amber Boutique Silom will solve your problem of where to stay in Bangkok. How popular is Royal Chaophraya Princess? People normally club together Emporium and Chocolate Ville while planning their visit to Royal Chaophraya Princess.